Puppy vaccinations are vitally important and will protect your dog’s life from some really serious viral diseases. In this article, we explain what puppy vaccines are required and what vaccination protocol your dog will need. We explain what infectious diseases these dog vaccinations protect against. If you have recently acquired a puppy or have bred puppies this article will explain exactly what you need to know to protect your pup so they have a long healthy life. What Diseases Do Puppy Vaccinations Protect Against? Non-core vaccines are optional vaccines against diseases that should be considered in light of the exposure risk of the animal, i.e. where the dog lives and the lifestyle of the dog. What Vaccination Protocol Do We Use? To receive adequate protection against the main diseases your puppy needs to be vaccinated at the appropriate time AND frequency. Please review the vaccination schedule below to understand the timing of vaccinations. 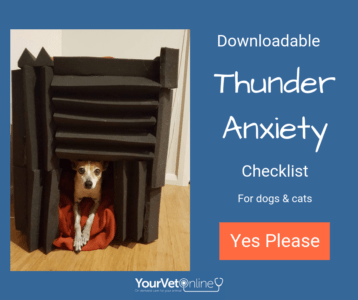 Why Does My Puppy Need So Many Booster Vaccinations? When an animal drinks its mother’s colostrum it receives some immunity to diseases that the mother has either been exposed to or has been vaccinated against. This is called passive transfer of maternal antibodies. If the animal didn’t drink colostrum, then this phenomenon would not occur and the baby animal would be at risk of disease. Sometimes, the colostrum that the mother makes is also not high quality, limiting the transfer of good antibodies. The majority of puppies are protected by these maternal antibodies for the first few weeks of life. This passive immunity will have waned by 8-12 weeks to a level that allows active immunisation via vaccination to be effective. If levels of maternal antibodies are still high, then the pup will be unable to activate an immune response to the vaccine until these antibodies are low (usually by 12 weeks of age). Alternatively, if the maternal antibodies are low or non-existent, then the pup is at risk of infection and will be responsive to vaccination a lot earlier (some from as young as 2 weeks old in outbreaks). This is the reasoning behind the booster vaccination schedule. We cannot know for sure what the level of protection is from maternal antibodies therefore rather than risk these horrible diseases and death, we vaccinate and booster. For dogs older than 16 weeks of age, one dose of vaccine is all that is required with an initial booster at 6 months to one year then revaccination is recommended every 3 years thereafter unless there are special circumstances that warrant more or less frequent revaccination. (These recommendations are only for core vaccines using a live vaccine). Non-core vaccines such as kennel cough vaccine, often require more frequent boosters, many are every 12 or 6 months. As well as vaccination against the core diseases stated above, the following diseases are often prevalent in some countries and require vaccination. Please discuss your dog’s individual needs with your veterinarian. What Diseases Do Vaccinations Protect Your Dog From? Do we really need to vaccinate our dog? Are the diseases that vaccinations protect against, really that bad? Take a look at the information below to find out more about why vaccination is a vital part of caring for your dog. What Is Parvovirus And How Is It Spread? Parvo is a highly contagious virus that affects dogs. Initially, it attacks the lining of the intestines. It is spread through contact with infected faeces and can survive on shoes, clothes and floors for many months. Contaminated grass areas can remain infective for many, many years (some say up to 7 years). The virus is still very common and there are often outbreaks in areas with lots of dogs. Without intervention and rapid treatment this disease can get worse very quickly and is often fatal without treatment. Treatment is based on supportive care. Dogs with parvovirus will be put on intravenous fluids drip to prevent and recover from dehydration. Anti-nausea medication is given and antibiotics to prevent secondary infection. In severe cases where protein loses are particularly bad, plasma and other blood products may be given. Dogs suffering from parvovirus need lots of nursing and require isolation to stop spread of the disease to other animals. Even with the best care, not all dogs survive. Without treatment, parvovirus is deadly in as many as 90% of cases. Puppies are particularly at risk due to an immature immune system and can quickly deteriorate and die from dehydration or secondary infections. Because parvovirus is so deadly, and it is so prevalent in many areas it is wise to check with your local veterinarian for guidance on what you can and cannot do with your puppy. As a general rule, house puppies indoors and only allow socialisation with dogs who are vaccinated. Keep off grass areas and only walk on concrete. Keep to this until two weeks AFTER the 16 week vaccination. If you think your dog has parvovirus, keep them away from any unvaccinated dogs and call your vet immediately. They might ask you to bring your dog in through a difference entrance to prevent contamination of the waiting room. Dogs that have recovered from parvovirus can be contagious for several months afterwards. Keep them away from other dogs or areas where lots of dogs go, like local parks. Your vet can test to see if your dog is still carrying the virus. If you have lost a dog to parvovirus, remember that the virus can survive in the soil for up to a 7 years. Any new dogs coming into your home need to be fully vaccinated first. What Is Canine Distemper And How Is It Spread? Canine distemper is a highly contagious virus that attacks the respiratory, urinary, digestive, and nervous systems. Vaccinations have been so successful at stopping canine distemper in Australia, NZ and the UK that it’s really rare to see outbreaks. It is more common in Europe and the United States. The virus is passed easily from dog to dog through saliva, blood, or urine. Distemper can also infect other animals, such as ferrets and foxes, so transfer from contact with wild animals is possible. Distemper can also cause hardening of the footpads and nose, so is sometimes known as ‘hardpad disease’. There is no cure for distemper and many dogs are put down because survivors have irreparable neurological deficits. Vaccination is the best way to prevent distemper. Keep puppies indoors until two weeks after they have completed their primary vaccination course. Don’t allow them to meet unvaccinated pets or unknown dogs until this time. Leptospirosis is a zoonotic disease (meaning it can be spread to people). There are many strains of bacteria that can cause disease. Leptospirosis is often prevalent in areas with high rainfall and warm climates but can occur anywhere. It is often isolated from waterways and found in rural areas due to contamination by infected wildlife, farm animals (pigs, cows), and rodents. Antibiotics and supportive care are the mainstay of treatment. Many infections make a full recovery, however, some will have residual liver or kidney damage. It can be fatal. Vaccinating your puppy or dog will protect them from the main strains of leptospirosis present in your area. Keep dogs away from any places where you know there are rats and other rodents. Make sure puppies are kept indoors and away from other unvaccinated pets until they have completed their primary course of vaccinations. Keep dogs away from stagnant water or flooded areas. Dogs that have recovered from leptospirosis can carry the bacteria for some time afterwards. Keep them away from other vulnerable animals and humans for several months as their urine can still pass on the infection. It is very important to practice safe handling due to the zoonotic nature of this disease. What Is Infectious Canine Hepatitis And How Is It Spread? Infectious canine hepatitis (ICH) is a highly infectious disease caused by canine adenovirus. It is often fatal in young dogs. The targets the liver, kidneys, eyes and blood vessel linings. It is spread via body fluids – urine, saliva, blood, faeces and nasal discharge of infected dogs. The virus can survive in the environment for up to a year, is very dangerous and can spread quickly. Infected dogs may recover but remain carriers, shedding the virus in their urine for up to 6 months. How Is Canine Hepatitis Treated? There is no cure and treatment is about managing symptoms e.g. by putting them on a drip to stop dehydration. In mild cases the chances of recovery are good. Severe cases may need intensive care including fluid therapy, blood transfusions and medicine to prevent liver failure. Sadly, even with the best treatment, Infectious Canine Hepatitis can be fatal. Vaccination is the best way to prevent canine hepatitis, and is included in the primary series of puppy vaccinations. Previously infected dogs become carriers of the virus for up to 6 months. This means their urine might still be infectious to other dogs. Recovered dogs require their own toilet area that other dogs can’t access so they can’t pass the disease on. 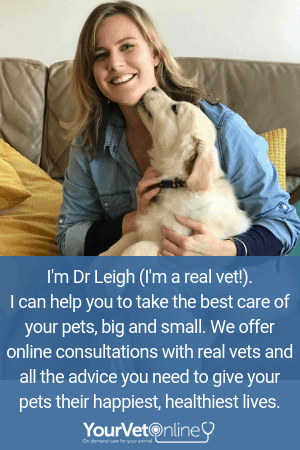 If you require more information about what vaccinations your dog requires, please get in touch with Your Vet Online, our vets are always ready and waiting to answer your questions.